Winner, Single Capture, James Simmons, Australia. First place, Dancefloor, Divyam Mehrotra, India. Second place, Dancefloor, Aaron Storry, UK. Overall Grand Prize winner and Couple Portrait winner, Dan O'Day, Australia. Overall Runner Up and Engagement Non Wedding winner, Jason Tey, Australia. Australian photographers Dan O'Day and Jason Tey have been awarded the top two awards in the second annual 2018 Wedding Photographer of the Year competition with O'Day named Grand Winner, and Tey Runner up. Perth-based photographer James Simmons was also recognised, winning the Single Capture category. 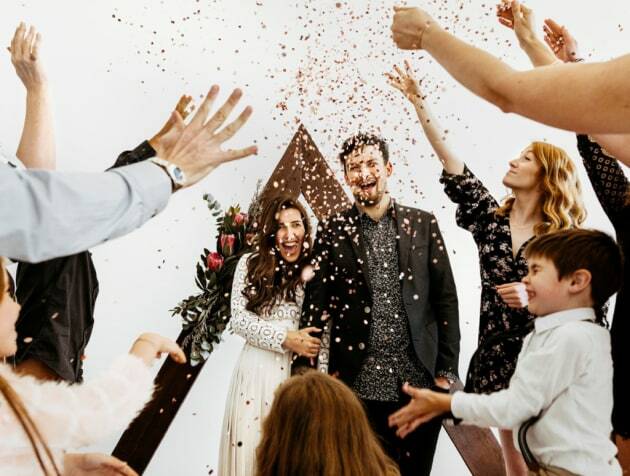 Aimed at promoting and celebrating the art of wedding photography, entrants competed for a prize pool valued at more than $30,000USD ($41,000AUD) in the 2018 competition. O'Day's winning image was captured at the National Art School in Sydney. "For an hour we’d been running around the outskirts of the venue like kids in a playground, dropping smoke bombs and chasing what little golden Australian light we get at the end of the our time for portraits (it was my first and only time using coloured smokebombs, so it was pretty hit and miss)," he explains. I managed to stop them from giggling and being in love with that ‘just married’ vibe on their faces for about .06 of a second so that I could get my “dramatic tortured artist” fix and guide them through the slice of light. Five minutes after this shot, they were busting through the doors of their party, high fiving guests, and drinking the good bubbles from the bottle, like they had headlined Coachella." 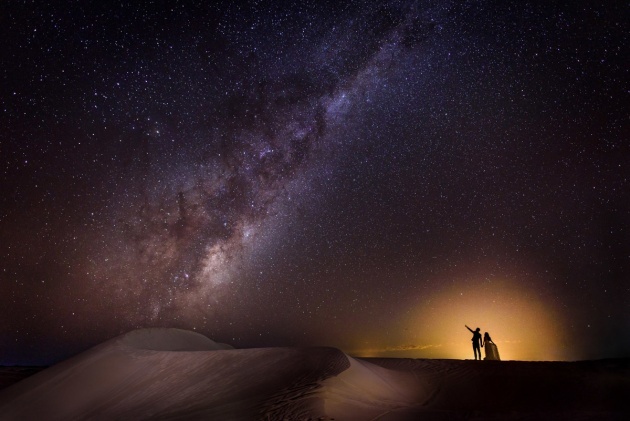 The runner up shot, captured by Perth-based photographer Jason Tey, was taken at the Lancellin Sand Dunes north of Perth, with a couple who had chosen to fly to the location from Hong Kong for the clear night sky. "Out there it is so dark you’re left in awe at how vast and magnificent the universe is," explains Tey. "After we located the core of the Milky Way, I worked out a beautifully balanced composition. There was a strange glow in the distance (most likely from street lamps) which I thought would ruin the image but it looked like a sunrise so we used that glow to create a silhouette. It’s one of those perfect surprises that you never expect and it makes an image special," he said. Categories awarded include; Album, B&W, Bridal Party, Couple Portrait, Dance Floor, Epic Location, From Above, Single Capture, Solo Portrait, Film Analog and Engagement/Non-wedding. You can see a selection of some of our favourite finalists in the gallery above, and the complete winners gallery at iwpoty.com.